Is Market Samurai worth buying? Choose the best SEO software to push your website to Google's top. Remember, the saying goes: "Take care of the pence and the pounds will take care of themselves". In other words, making billions' fortune starts with making each cent you spend work for you. So, if you're serious about getting some good cash from your website, you have to make sure the money you invest in it pays for itself. Sure you'll love to check out if every buck you spent on your SEO software is worth it. If you've learned the value of money, and know better than to buy a pig in a poke, read on. We've checked Market Samurai SEO tool back and forward. We've tried to apply it to every SEO task you have to cope with to push your website to the top of Google and boost your profits. See for yourself if it's wise enough to buy Market Samurai for your SEO. Compare it to other SEO software, and learn why thousands of companies and individual site owners think SEO PowerSuite knows its SEO stuff much better. SEO software prices vary. Some SEO tools are out there for free. Some, like Market Samurai with its $149 fee, are offered at a medium price. But some apps are worth paying more. Making good money is not about buying some so-so stuff a cent cheaper. If you don't want to be the stingy who pays twice, you'll try to get your hands on real bargains that do pay their way. Study this review from cover to cover and see if Market Samurai by Noble Samurai team is such a sweet offer. Get to know what software is worth buying. Penny- pinching is also out of place when it comes to monthly fees that are often charged for SEO tools' updates. The fee you pay means your software will always stay up to date with search engine algos. In plain English, your tool will collect data for you right on the nose. If no such fee is charged, the tool simply has little to update and little to lay at your feet... This is how matters stand with Market Samurai. 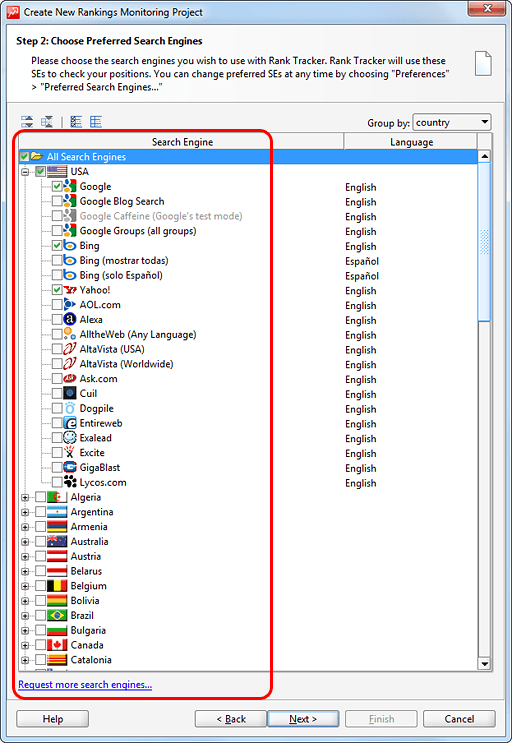 It works with 3 search engines only, compared to 566 search engines supported by SEO PowerSuite (including AltaVista, AOL , and numerous big-league local SEs). So, unlike such serious SEO tools, Market Samurai won't need any recurring fees — but then it won't provide you with the immense powers these fees usually support. If you've already happened to buy Market Samurai or download Market Samurai Trial, you've probably noticed that this tool is quite helpful in some SEO tasks. But aren't you missing some cool features that SEO PowerSuite toolkit has to offer? You'd wish your software to squeeze all juice from SEO, no two ways about it. When planning to buy an SEO tool, you expect it to lead your website to the top of Google to bring you never-ending traffic flows. For that is your utmost goal, isn't it? Let's look through all jobs your SEO tool must handle, if you're doing site optimization for payoff, and not for sheer fun. Any SEO campaign is set up on on-page and off-page SEO. They work for your site promotion hand in hand and aren't worth a pin when cut off separately. On-page SEO stands for the optimization of your webpage content. It covers the fields of SEO work that aim at making your page comfy and nice for both users and search engines. Supply a sitemap to make it easier for users and search engines to find information on your website. Organize your internal link structure to a T, so that every URL will give a clear idea of what page it stands for. Write a robots.txt file to point out which parts of your site search engines shouldn't pay any attention to. All this stuff is very helpful in climbing up the search engine ladder. But the key here is filling your page with keywords, putting them right where they catch the search engine's eye. You have to optimize each particular element of your page code according to what search engines like, and then they will rank you high. An SEO tool is to help you reveal what suites search engines' taste, how your page satisfies their requirements, and what else can be done. See if Market Samurai is any good at on page SEO. Keyword Research means digging up the most traffic-productive keywords and keyphrases with low competition and high search rates. It lets you be the first to find fruitful but yet unexplored oases in competition-exhausted world of search engine marketing. X-ray what Market Samurai offers you for keyword research. Rank-Tracking: keeping an eagle eye on where your site ranks for every keyword is a guarantee of success. No blind games with search engines — you can always make sure that your SEO campaign is moving in the right direction. 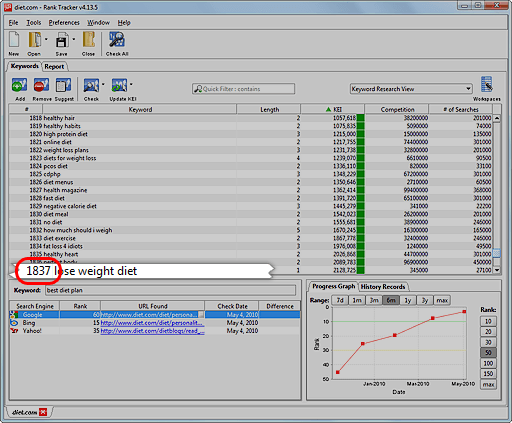 Weigh Rank Tracker module in Market Samurai against SEO PowerSuite Rank Tracker. Competition research: why reinvent the wheel? Knowing what made your competitors rank high, you're armed to the teeth to pick your way to first rankings. The deeper your insight into competitors' SEO, the smoother your way to Google's top and fantastic sales. Check what top-notch features for competition research Market Samurai lacks compared to SEO SpyGlass. Link Building: a widespread network of backlinks is what makes search engines fond of your site. #1 ranking may require thousands of relevant and trustworthy websites linking to your page. Without a handy SEO tool, this task swallows up months of your time. Come to know whether Market Samurai is on the ball in link building. Compare Market Samurai to other leading SEO software in our feature-by-feature comparison chart. We'll close-examine Market Samurai in each of these vital SEO tasks. But first let's hash over its general features and performance. First and foremost, if you've made up your mind to entrust SEO to Market Samurai, you're doomed to blind your eyes in front of the monitor all day long. Unfortunately, unlike SEO PowerSuite tools, Market Samurai is drowsy not only in particular tasks, but even in switching between program tabs and modules. If you're not the one to waste an eternity to switch to a new tab, SEO PowerSuite is what you need. You'll take the most of your every second. Who's calling the workspace tune? Only SEO PowerSuite gives you absolute convenience with its highly customizable workspaces, fitted out with all sorts of filters. No overloading with unnecessary info. You're at the helm. With Market Samurai you have to be in the saddle for all boring SEO jobs. But, believe it or not, SEO PowerSuite will work by itself! 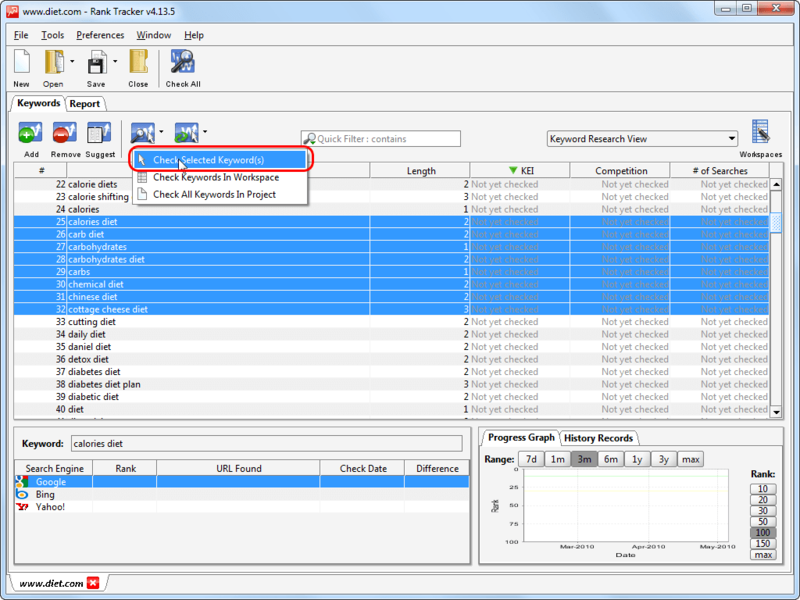 Scheduler feature lets you mouse-click tune this software to perform SEO tasks on autopilot. Just imagine how much you can do in the free time savvy SEO PowerSuite tools spare you, as compared to Market Samurai. Are you an SEO greenie yet? SEO PowerSuite step-by-step wizards will carry you forward, showing what to do next. Like a personal guide, the tool works out a wall-to-wall strategy on how to optimize your site. Following these tips, you have no choice but to fly to Google's top. On the contrary, no wizards and no success plans in Market Samurai. You are left to make conclusions by yourself. How about SEO gurus then? If you've cut your teeth on SEO, you'll want to bear the bag. SEO PowerSuite, in contrast with Market Samurai, has an Expert mode to give you the highest flexibility of settings. 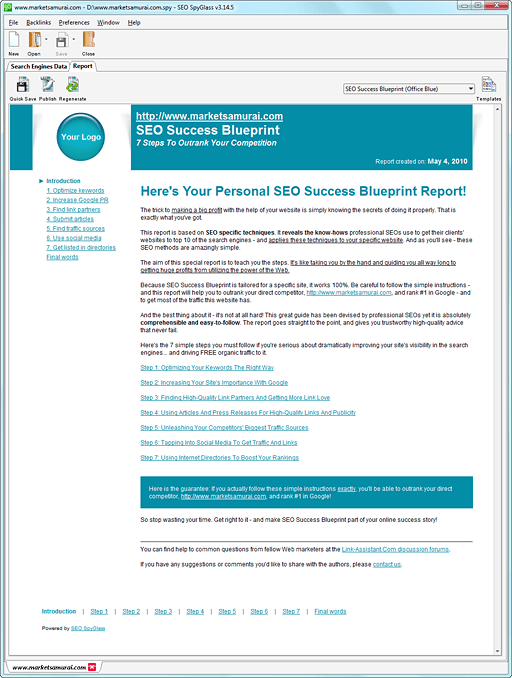 A smart tool that generates progress reports to send them to clients will definitely catch SEO companies' fancy. No such feature in Market Samurai. You'll have to make up your reports for hours bit by bit. That's a pity... If it were not for SEO PowerSuite here. Ready-made eye-candy report templates are at your hand. Brand them with your company logo, tune the colors and the data included. Nobody will ever figure out these reports are not hand-made. Save them to your computer, e-mail to a client or publish them to the Web. Finally, do you like staying safe and sound? SEO PowerSuite gives you the most reliable guarantee of safe work. No Google penalties on your software for automated queries. Be on friendly terms with any search engine under the wing of breakthrough safety features. Remember, on-page and off-page SEO are inseparable. To put search engines on cloud nine with your page, you have to optimize your web content. You are to develop a perfect ratio of the amount of text, the location of keywords, and their density in each HTML element of page code. To leave the long path of trial and error, you badly need a slick SEO tool to help you. But no module for website content optimization in Market Samurai! It leaves you in single combat with on page SEO! A must-have SEO PowerSuite on page tool — Website Auditor — will take care of you website's rising to the top in any of the 566 supported search engines. Plus: safety features, customizable workspaces, handy filters and much more. 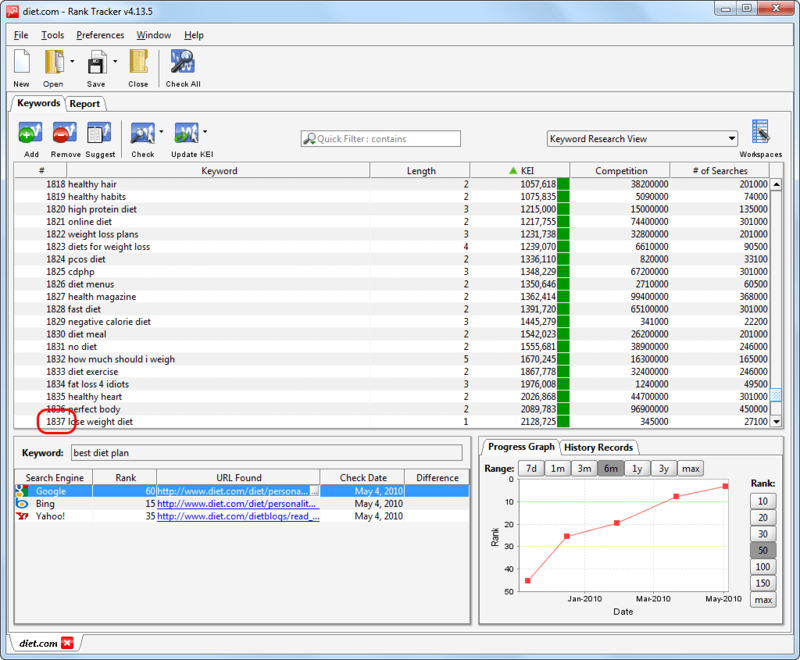 Scout out other cutting-edge features of Website Auditor, or stop wasting your time and take action right away — download Website Auditor for free. 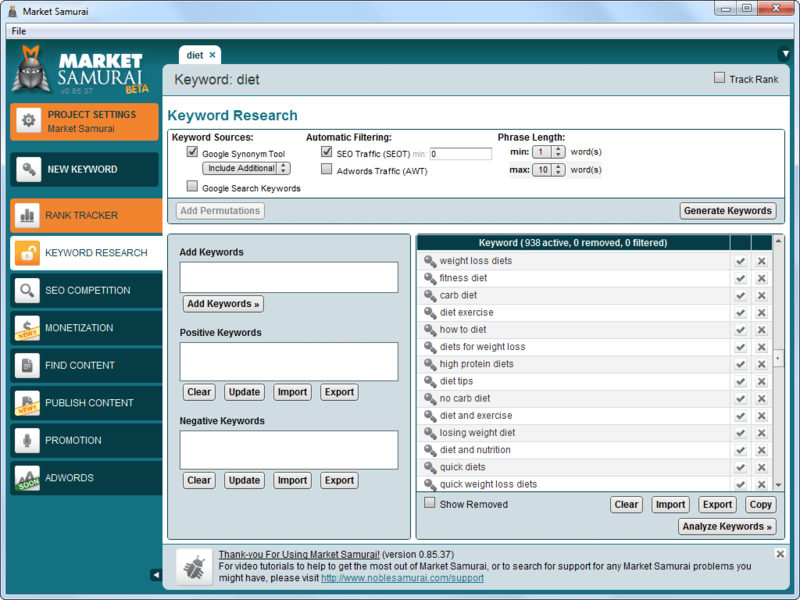 Market Samurai has a powerful enough module for keyword research. 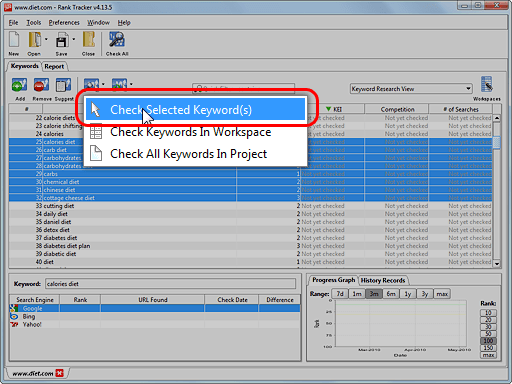 It retrieves keyword suggestions via 2 Google-based tools: Google Adwords Keyword Tool and Google Search-based Keyword Tool (+ Permutation tool to swap the words in your keyphrase). The software suggests you up to a 1000 keywords and analyzes them according to their search rates, competition and a number of other factors. You bet Market Samurai's competition research module for each particular keyword niche is a real leg-up. But let's see, doesn't Rank Tracker from SEO PowerSuite toolkit beat Market Samurai up? We'll walk the talk and give the two tools identical tasks to see who is who. Let's say, you're up to promoting a website that has to do with diets. And "diet" is your main keyword. But... Oh, boy! The competition for this word is 114,000,000 websites! It'll take you ages to elbow your way through this crowd, while there are other related words with lower competition and still huge search rates. Let's try to find these most profitable keywords. First, try to think of possible keyword variants all by yourself. In 3 minutes. Well, time is up. What's the upshot? Some 20 words, I guess? 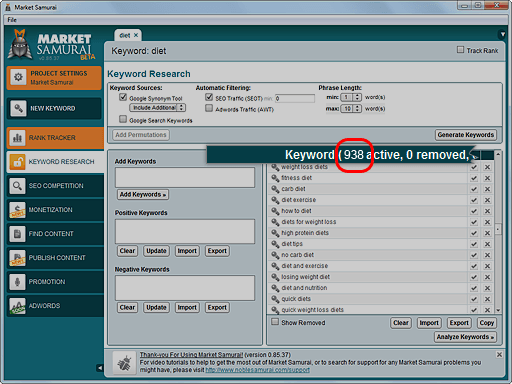 Market Samurai has found 938 keyword suggestions. That's cool! Nice work! Now give way to Rank Tracker. SEO PowerSuite Rank Tracker — the only keyword research tool that uses 13 research methods — has unearthed 1837 keywords for you! But stay tuned. The very best thing is still to come. 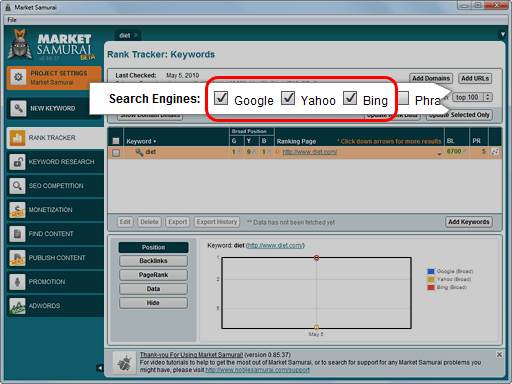 Rank Tracker has not only listed these keywords for you, and checked search rates and competition for each of them. The tool has also calculated their KEI — the most exact factor to evaluate keywords' fruitfulness for your website optimization. The keywords are graded by their KEI and the words that are worth your while are marked green. You'll notice them in a glance. Now pick out the green ones relevant to your website's topic. Ok, what do we do with these words next? We've come through keyword research not just to throw the list of keywords to the trash can, haven't we? The only practical area where you can apply found keywords with Market Samurai is a Pay Per Click campaign, like Google AdWords, Yahoo! Search Marketing, or Microsoft adCenter. That's a quick enough way to attract some additional traffic to your website in the short run. But you have to pay for each click you get. You have to pay, and pay, and pay, while you still have money to pay. 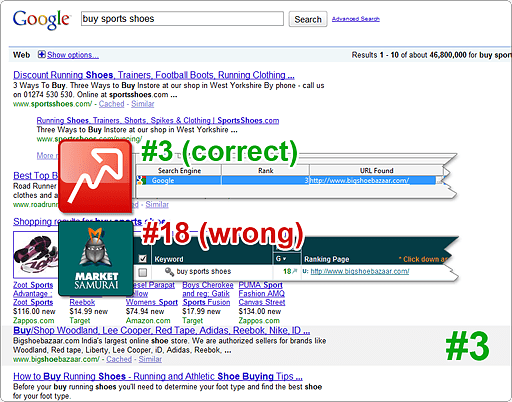 SEO is another pair of shoes. You have your money invested only once (the sum is chickenfeed if compared to PPC costs), and in the long run, when you website reaches Google's top, you get unlimited amounts of traffic that repay SEO investments hundreds of times. That's what we call making money! Market Samurai won't help you do your SEO for the keywords you find! It has no module for on page optimization, i.e. for optimizing your page's HTML code using these words. No on page SEO, no Google's top. It's baby-simple. SEO Power Suite, on the other hand, has all the tools you may ever need in the whole SEO process. Track your rankings for the found keywords here, in Rank Tracker, or optimize your page for them in Website Auditor. Build links with the keywords in anchor texts in LinkAssistant, or spy on your competitors' optimization for each of the words in SEO SpyGlass and much more! Keep in mind, with SEO PowerSuite you're on the safe side: within search engines' policies, for keeps. Plus: quick filters, customizable workspaces, report templates and wizards. You have the game in your hands with SEO PowerSuite. Your website's ranking changes are the most telling signal if your entire SEO campaign moves in the right direction: to the first ranking and the first-rank cash harvest, fitly. Playing SEO game blind can make you troubles. Only knowing how your ranks blow hot and cold, can you discover what's SEO-good and SEO-bad for your website. Barehanded, site promoters will be tracking their rankings forever and a day. That's where Market Samurai and SEO Power Suite Rank Trackers are to help. And they both do. But who's A-1? Rank tracking is riding a tiger if your SEO tool has no concrete-strong safety features. Search engines may impose penalties on your tool for automated queries, making waves for your rank checking, unless you put to task Rank Tracker from SEO Power Suite. It is the only tool equipped with 3 safety features — Human Emulation, User Agents and Proxy Rotation — to make its queries look natural for a search engine. It works with Google, Yahoo! And Bing official API Keys to boot. With all these features you'll get on well with any search engines. Market Samurai fills the bill in rank tracking in Google, Yahoo! and Bing. It checks rankings for each page for a number of keywords, compares the results with the previous check and draws a progress graph. SEO PowerSuite Rank Tracker does all this, and does it better! With Rank Tracker you can watch over your website's position in 566 search engines! Besides the usual Google, Yahoo! and Bing, SEO PowerSuite keeps track of your rankings in AltaVista, Ask, Excite, AOL, and multiple local search engines for you to focus right on your target audience. Any search engine you'd like to add up to this long list is available upon request (see the full list). The graphs in SEO PowerSuite Rank Tracker are set for any period you'd like to be shown. The results of the current check are compared to these for any date, as well as to the best and the worst ones. Rank tracking software that can't track your rankings. Absurdity? Market Samurai falls through when it comes to accuracy of results. Here's the evidence. We've tested Market Samurai, asking it to track rankings for random URLs and random keywords, and set the results against the results we've got from Rank Tracker and Google itself. For keyphrase "buy sports shoes" we see website www.bigshoebazaar.com/ on the 3rd position in Google. Rank Tracker is absolutely precise, showing the same 3rd result. But Market Samurai tries to convince you that the page is on the 18th place! http://devils.nhl.com/ — the official page of New Jersey Devils team — ranks 10th for the keyword "New Jersey". Again, Rank Tracker is absolutely right. And Market Samurai? If your rank-tracking tool is Market Samurai, you'll think that it ranks 27th! 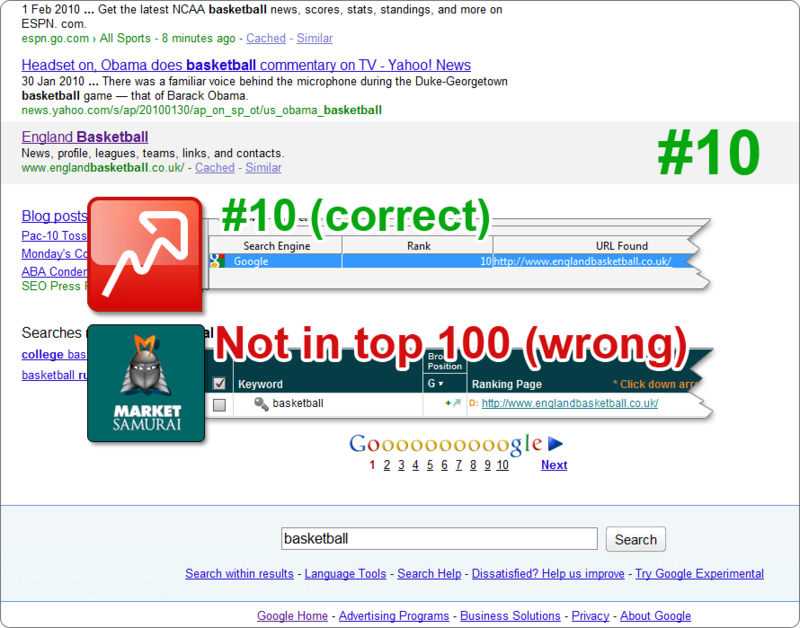 And finally, for keyword "basketball" website http://www.englandbasketball.co.uk/ ranks 10th in Google. The same is proven by Rank Tracker. But Market Samurai keeps saying that the page is even not in the top 100! These are not some tiny slip-ups. Market Samurai in many cases entirely misses the point! You, therefore, can't trust the results it brings. Such software is useless. 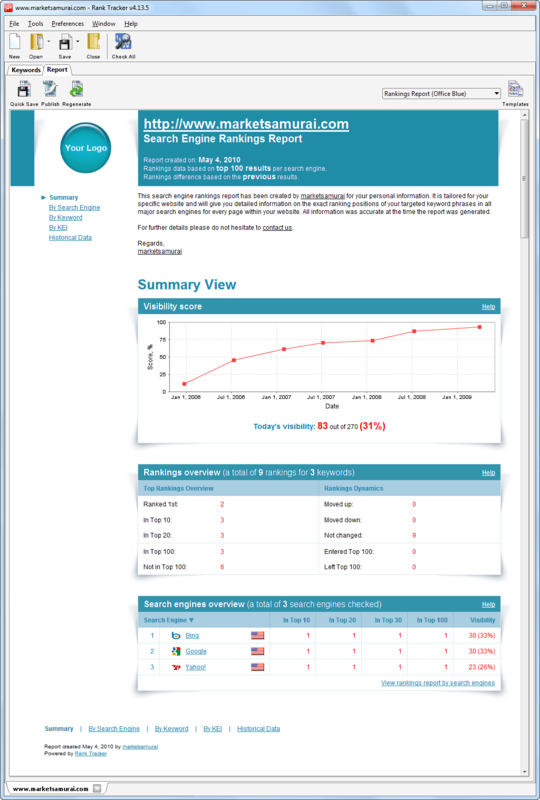 Download Rank Tracker Free version at a word and check rankings swiftly and accurately! Competition research is a piece-of-cake way to squeeze your website to the top of any search engine. Ranking first means outranking your online competition. For a search engine, your website has not only to be very good. It has to be better than that of your competitors. The deeper you dig into what your competitors have done to rank so high, the quicker you leave them behind. Get to know where your competitors get their backlinks, and which of them bring more value, make these websites link back to you, and: voila! Your competitors are beaten to nothing. Makes your mouth water? Warning: Market Samurai doesn't stand a chance with SEO PowerSuite is competition research! No casting a mist before your eyes: mere facts. 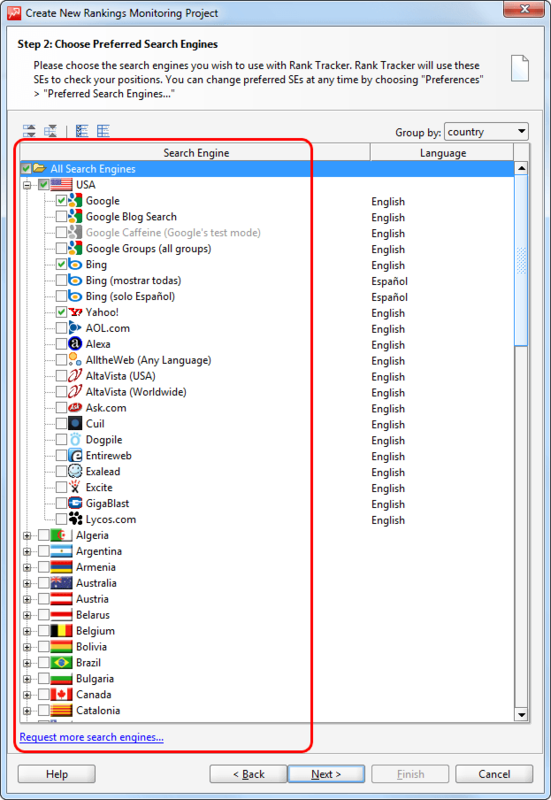 Here's the list of features you find in SEO SpyGlass, but miss with Market Samurai. And much more! Browse through the whole list of SEO SpyGlass features, or download SEO SpyGlass and start digging out your competitors' gold mines right now! Now we're getting down to link building — one of the most time-consuming SEO tasks. Why build links? Because top-quality inbound links make search engines firmly believe you're worth ranking top. 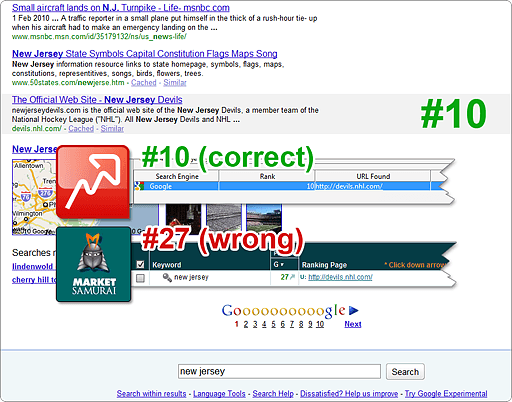 For ranking #1 you may need titanic numbers of backlinks. One of the easiest ways to obtain links is link exchange. You find a prospective partner, put a link to his site on your page, and send him a request for link exchange. If interested, fine, the guy links to your site as well. No — you remove the link to his page. Some SEO big shots may claim link exchange is not working any more, but, so far, it is a sure-fire way for new sites to build their links and gain authority in search engines' eyes. So, let's have a closer look at the process. Let's take, for instance, a website ranking first for the keyword "myspace proxy" in Google. Competition for the keyword is 2,320,000 websites! Can you imagine? #1 website for the keyword is www.myspaceproxyace.com, optimized with SEO PowerSuite toolkit (examine the full case study, and read other SEO PowerSuite customer reviews). It has 1307 inbound links, which we can check in SEO SpyGlass in a mouse click. Just picture in your mind: to get these 1307 backlinks you have to find thousands of hoped-for link partners, send them all convincing e-mails to offer link exchange, keep track of their answers, check if they're linking back with proper anchor texts and are not using any black hat techniques to cheat you. Isn't that driving you crazy? All these tasks turn out to be a no sweat job with SEO PowerSuite LinkAssistant). Search for prospective partners in 566 supported search engines (or any other search engines: you name it) in all kinds of web sources. Analyzing potential link sources according to a number of factors and choose only the hottest ones. Then make up a link directory (absolutely matching your website's look-n-feel) in a second and upload it to your website instantly. Send e-mails to all your soon-to-be partners using templates in LinkAssitant's in-built e-mail client. Monitor their answers right here, in Link Assistant. Check if those who accepted the offer are really linking back to you. Check, aren't they using NoFollow attributes, or other black hat techniques to cheat you. How's Market Samurai doing in link building? Promotion module in Market Samurai covers only a dinky part of what link exchange involves. It helps you find linking partners only among social media: Web 2.0, forums and blogs. Then it gives you only 3 criteria to analyze the value of the found link sources: Page Rank, the number of inbound links and links with a NoFollow attribute on the page. For you to put a link to the page you've found, the software generates a piece of HTML code to copy-past it to a post on your website. After that, all you can do is hope and trust that maybe someday one of these pages will put a link to your website as well. 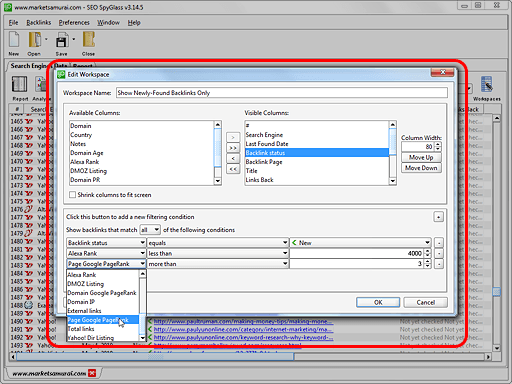 Link directories Generate a link directory that completely matches your website's design. Safety features Built-in proxy servers Built-in proxy servers	Human Emulation, User Agents and Proxy Rotation to keep you on the safe ground. Turn your link-building into child's play with powerful and easy in use LinkAssistant! Download LinkAssistant Free version straight off! Market Samurai has several additional modules. 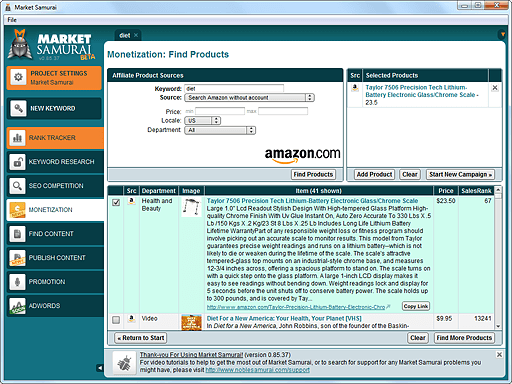 "Monetization" module is for affiliate products' search (in Amazon, ClickBank, Commission Junction, and PayDotCom.com) and primitive ads generation for the found products. "Find content" module finds articles, blog-posts, You-Tube videos and social media content for a given keyword in Google. These articles are supposed to help you in writing your own page content. But keep in mind that using somebody else's content may lead you into big troubles with copyright. "Publish content" module is for publishing posts to your blog and submitting them to a doubtful three-party service called Traffic-Bug for link building, social bookmarking and RSS directories' submission. The service will charge you 25$ monthly, but, according to user's reviews, can harm your rankings, instead of improving them. Compare Market Samurai with other leading SEO tools in this summary table to see the essence! Now you've got more than enough evidence of what app you need for "grown-up" SEO. And if your eyes are wide open, it's just the time to stop the shilly-shally and try out SEO PowerSuite toolkit. You'll get to know why over 50,000 users in 120 countries all over the world entrust their SEO to SEO PowerSuite! * If you have already bought Market Samurai, you can exchange your license and get any of our tools at a special competitive discount.